The greatest dog show in the world is back! 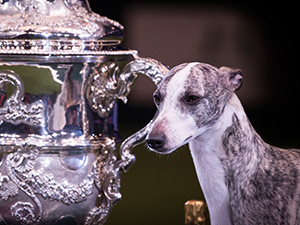 Get your tickets now to Crufts 2019 for an unforgettable day out with thousands of dogs. Watch over 22,000 dogs compete for the world famous title of Crufts Best in Show, plus browse hundreds of shops full of products for both you and your canine pal. Watch talented dogs show off their skills in agility, flyball, heelwork to music and many more inspiring dog displays. You can also meet over 200 different breeds in the Discover Dogs area, cuddling some of your favourite breeds and getting to know breeds you’ve never heard of. It’s a great family day out and under 8s go free! ADVANCED BOOKINGS CLOSED – Tickets available to purchase on the door.